An Alphabetical Index of Ulster Emigration to Philadelphia, 1803-1850 dates from the early 1990s and was compiled by Pennsylvanian Raymond D. Adams. The specific and succinct nature of the title quickly tells the genealogist what this publication should be used for. There are entries for almost 2,000 individuals who arrived into Philadelphia in the first half of the 19th century. Some combination of name, age, family members that traveled with them, ship, year of arrival, port of embarkation and address in Ireland is provided for each person. The address is typically a townland. The main disadvantage of this book is that the primary sources from where the information came from is only hinted at - "Customs Lists and passenger Lists contained in the National Archives [presumably of the United States], existing passenger lists recorded voluntarily by ship's masters of the Cunard and Cooke shipping lines, and civil parish emigration lists retained by the Public Records Office of Northern Ireland." Without clear citations, you still have to try and track down the original documentation that provided the information so as to help prove the Philadelphian immigrant's Irish place of origin. Based on this description of sources and the specific years of arrival listed in the book, I'd suggest following up with Brian Mitchell's books to learn more about where the information comes from. Mitchell, Brian. Irish Emigration Lists, 1833-1839 - Lists of Emigrants Extracted from the OrdnanceSurvey Memoirs for Counties Londonderry and Antrim. Baltimore, Maryland: Genealogical Publishing Company. 2007. Mitchell, Brian. Irish Passenger Lists, 1847-1871 - Lists of Passengers Sailing from Londonderry to America on Ships of the J. & J. Cooke Line and the McCorkell Line. Baltimore, Maryland: Genealogical Publishing Company. 2001. Mitchell, Brian. 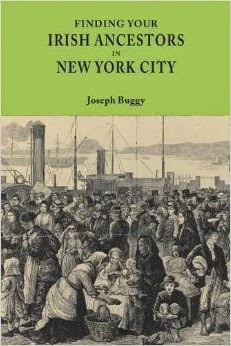 Irish Passenger Lists, 1803-1806 - Lists of Passengers Sailing from Ireland to America. Baltimore, Maryland: Genealogical Publishing Company. 1995. An Alphabetical Index....is also available as a searchable database on Ancestry. Adams, Raymond D. An Alphabetical Index to Ulster Emigration to Philadelphia, 1803-1850. Baltimore, Maryland: Genealogical Publishing Company. 1992. p. vii. Great Article is this and I have lots of Information on it. Thanks for This is a very informative for us send gifts to Pakistan .